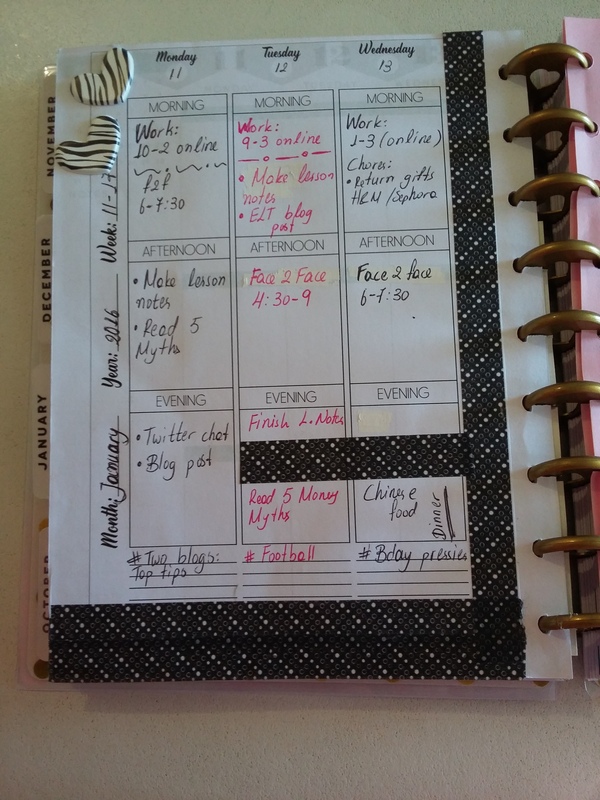 Today I decided to be a bit more meticulous with my planning and use add ons/ inserts in my weekly planning ‘ritual’. So, I will show you what I used and how I planned. I used my Happy Planner and the Storyteller 2016 : Story Planner System A5 Calendar / Vertical / Inserts I got from The Lilypad. There are 4 sheets. I used the weekly planner spread to write down what I have to do in the mornings/afternoons/evenings. I wrote my work schedule and general tasks. I used sticker paper for these two sheets. I also printed on a different coloured sheet the weekly stories page on which I wrote down my blogging plans for this week. The other sheet had functional boxes that included What I am eating and Pay now/ On time/ Important boxes. I used the what I am eating not to document my eating plan for the week,but to write down what I actually eat because I am starting a diet and I want to document my junk food consumption :D. The other boxes were used according to their headings. Pay now for bills. On time for deadlines and important for things I mustn’t forget to do. I have more space to write. 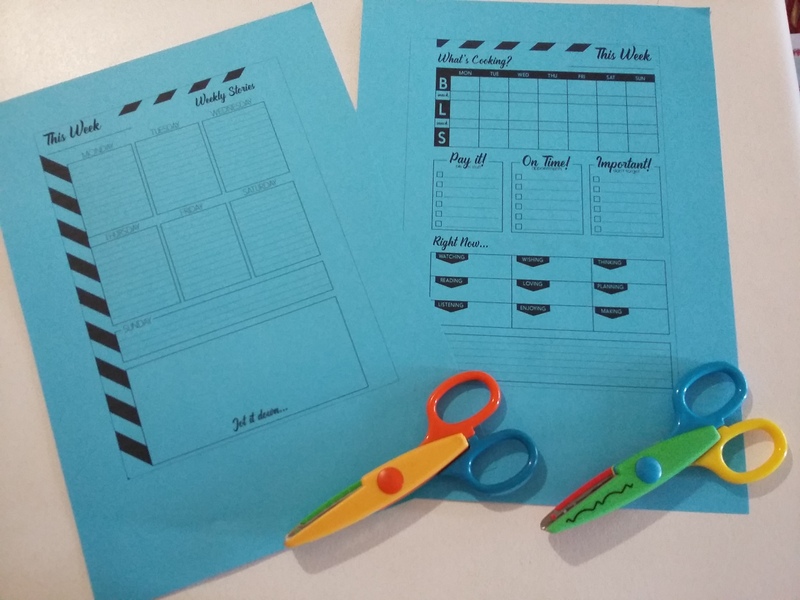 I have space to do more detailed planning (my blog posts) and it looks nice with the different coloured sheets. Washi tape and love hearts from the one euro store (here in Greece). If you want to check out The Lilypad, press this link. 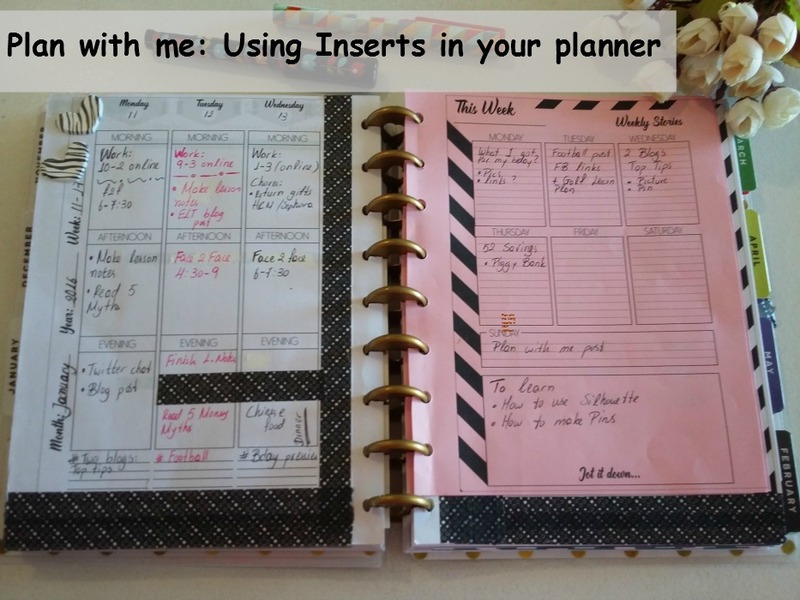 She has lots of planner inserts and other planner/scrapbooking -related products. This is the part where I beg for followers 🙂. Subscribe to my blog if you like what I have to say.Check out my latest post on how to store your pens/pencis using mugs and jewelery boxes. Connect with me on Pinterest/ Twitter/ Instagram.Maybe even give my Facebook page some TLC? Remember the comments section is all yours. 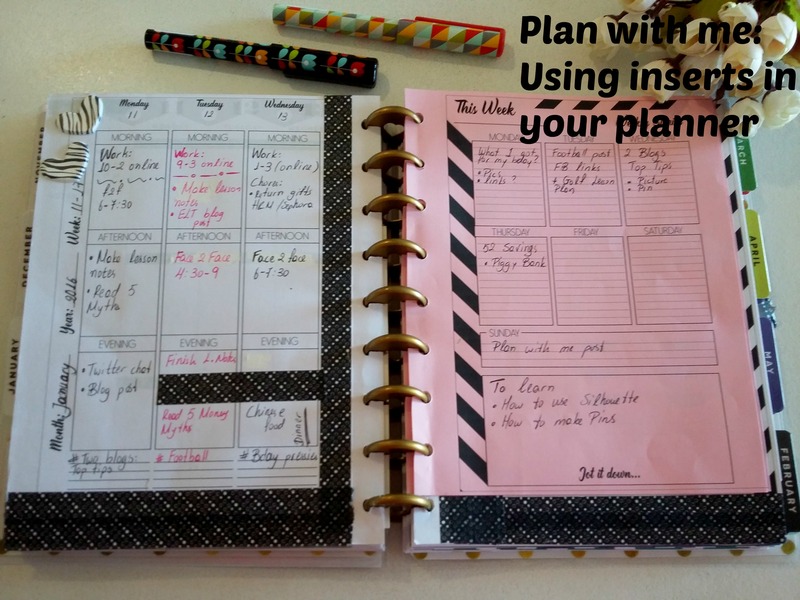 Check out the planning category (side bar)for more planner-related posts.